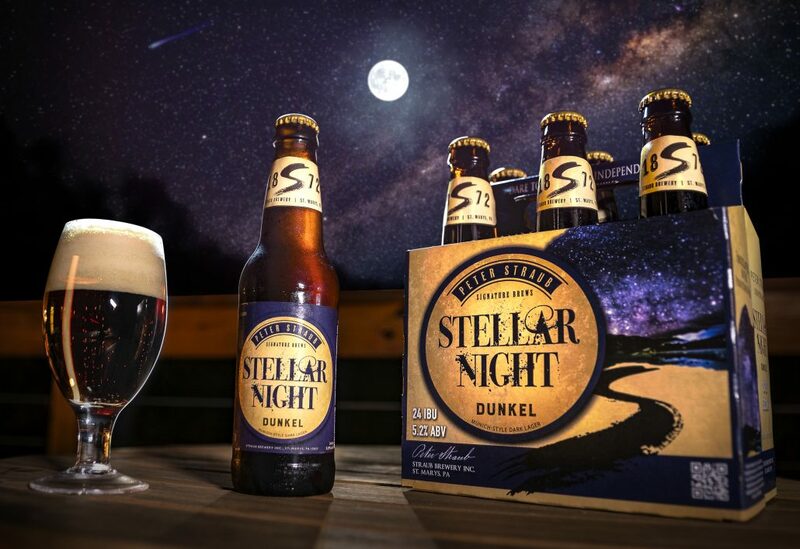 As dark as the night skies at Cherry Springs State Park, Stellar Night shines bright with its 2017 Gold Medal from the Best of Craft Beer Awards. Medium-bodied with plenty of toasted malty bread notes and mild hop character, this traditional Bavarian Dunkel lager is a star in and of itself. Whether your behind a telescope or just sitting around the fire gazing up at the Milky Way this brew will take you to the moon and back. We wish you all a Stellar Night!